A lost dog, a hidden time tunnel and a secret lake. A page-turning time travel adventure for children aged 8-11. Now enjoyed by thousands of young readers! Their quest to solve the riddle over the summer holidays leads to a boat buried under a grassy mound, and a tunnel that takes them to a secret lake. Stella and Tom soon discover that they have travelled back in time to their home and its gardens almost 100 years earlier. Here they make both friends and enemies, and uncover startling connections between the past and present. 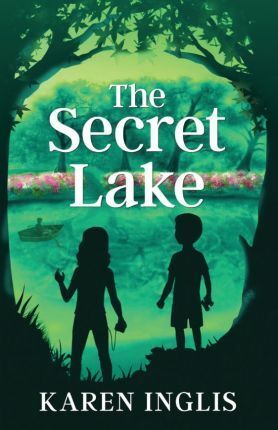 The Secret Lake has been described by readers as a modern Tom's Midnight Garden and compared in atmosphere with The Secret Garden and the Enid Blyton and Nancy Drew mystery adventure stories. Its page-turning plot, with its many twists and turns, makes it a firm favourite with both boys and girls. Karen Inglis describes it as, a time travel mystery adventure with modern twists - the kind of story that I loved to read as a child, but brought right up to date.